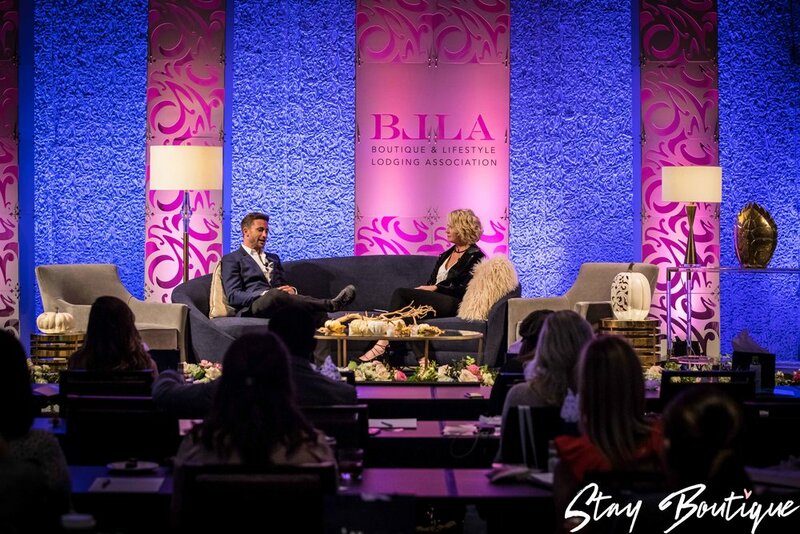 As the self-described Chief Pride Officer of Viceroy Group, Bill Walshe inspired and captivated the Stay Boutique audience with his charisma, wit, and passion for instilling a sense of pride in all who desire to make their mark in the boutique hotel industry. After many years in the hospitality industry, Bill realized that having the title of ‘CEO’ doesn’t really mean much if you don’t have real pride in what you’re doing. A title is about status, while pride is about one’s purpose. Bill reminded everyone that, “We are hosts first and always.” When we take pride in our product it will lead us to our purpose. His coined term, Prideology, describes a pride ideology whereby we exhibit pride through purpose rather than profit. That’s what differentiates the boutique industry from the big guy hotels. 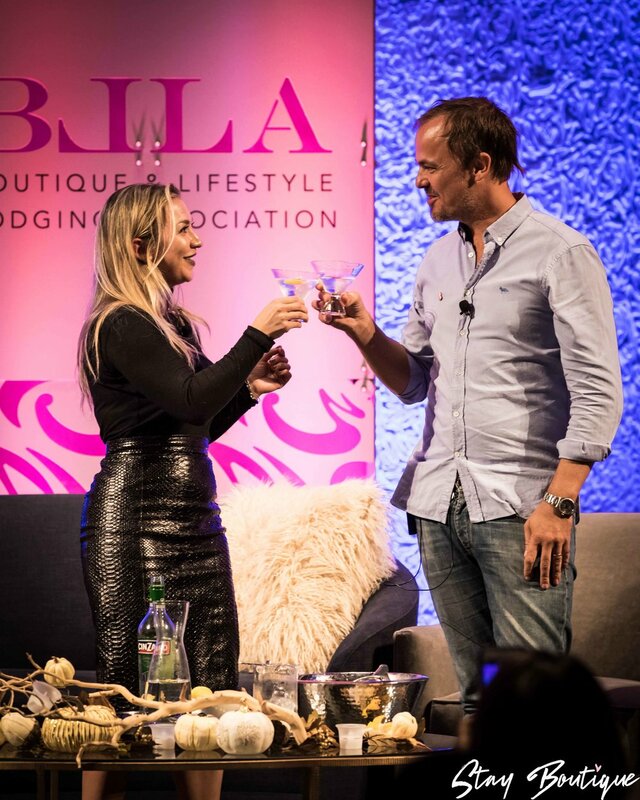 “Business ideology has to be about purpose,” Bill says, “and Prideology is the definition of the Viceroy Hotel Group.” Those in the boutique hotel industry should not imagine that the surroundings will wow our customers, it’s service that wows them. Edie Rodriguez, the former CEO of Crystal Cruises (and current Brand Chairman at Pontant), believes that all businesses are in perpetual evolution and must “grow til you go,” as she puts it. “Brands in any genre either grow or die.” In four short years under Edie’s leadership, Crystal Cruises launched yacht-expedition experiences, a river cruise division, and a luxury charter airline called Crystal Sky. When asked about how she balances work and personal life with such a high-level career, Edie says, “There is no balance, it’s a matter of priorities. Stick with your guidelines you set for work and personal life. Know yourself and where you are in life.” Loving what you’re doing is also key for any woman that wants to have a career and family. “If you’re not happy, don’t do it,” Edie recommends. After working in the travel industry at high-level positions for decades, Edie was asked what her idea of true luxury is, “Getting to sleep in my own bed and not have to be up at a certain time...and have that cup of coffee in the morning.” That sounds like every working woman’s perfect start to a day! Verve creates a sense of community within its business with the intention to seek out those who they want to have an audience with. He recommends an ‘S.P.A. 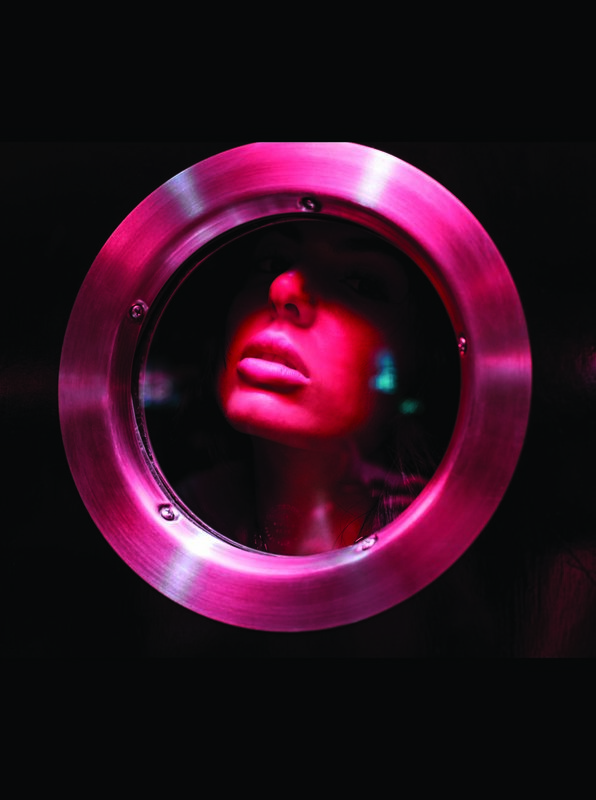 treatment’ approach; Service, Product, and Atmosphere. “Practicing hospitality is a core that our company is built on, but design is an important part of our spaces too. Our stores feel more residential than commercial.” Colby says. Verve’s collaborating with partners of like-minded businesses includes doing a cafe on the Facebook campus as an extension of them wanting to elevate their coffee experience. “We’re growing, and we have ambitions.” Colby shared. “Staying founder-run and founder-controlled is how we plan to keep our mission intact and bring our team along with us.” With nine stores currently open and a second shop opening in Japan soon, Verve Coffee is well on it’s way to becoming the best coffee available in households and boutique hotels around the world. With an eye on music, arts, and entrepreneurship, Ovolo Hotels offers an all-inclusive solution when you stay with them. The mini-bar, wifi, laundry, and happy hour are all free to guests. 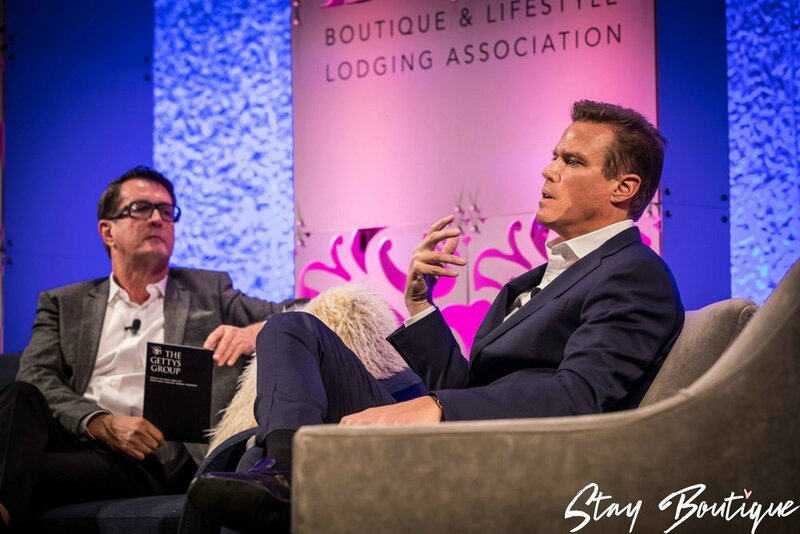 “F&B attention to detail has become front and center to boutique hotels.” Tim believes. “Everyone in Australia is a foodie, so the expectations are high.” In Hong Kong, their guests focus on technology amenities, so Ovolo put Amazon Alexa in their hotels. They also like to do things that people didn’t expect or even know they wanted, like launching a radio station (Radio Ovolo) on Spotify. Tim advises others in the boutique hotel industry that empowering staff is a huge necessity. “Job satisfaction is necessary to hire staff that will give the service you need.” There are no strict uniform policies in Ovolo Hotels and with an almost semi-casual form of dressing, Tim believes it allows his staff to feel more comfortable while doing their job. He also highly recommends having an experienced curator on staff. “At Ovolo, we hold ourselves to the challenge of personalizing each customer’s stay.” Even if that means mailing back a little girl’s teddy bear that was mistakenly left behind... of course, with a few pictures included of him relaxing by the pool while he waited for his flight home. What better way to discuss Absolut’s new boutique lifestyle-inspired vodka, Elyx, than over a couple of martinis? Freelance Spirits and Travel Journalist, Celine Bossart did just that when she interviewed Jonas Tahlin, CEO of Absolut, about their new luxury brand vodka and how James Bond had it all wrong. “The colder the martini, the better,” Jonas advised, “so you want it stirred, not shaken.” However, he did acknowledge, “But the martini shakers are so fun!” Jonas’ passion for vodka was evident in every word he spoke about Absolut’s luxury version, Elyx. With vodka making a resurgence, Jonas saw that people like it to have a flavor so that it can be enjoyed not only as a mixer but also as a sipping cocktail. This is what the leading-edge bartender appreciates about a brand like Elyx. As the innovator behind the new liquor, Jonas shared that his inspiration came from a desire to create something unique that could be offered as a luxury experience for consumers in collaboration with the hospitality industry. Celine and Jonas agreed that for boutique hotels they would both love to see the mini-bar evolve into a full bar so that consumers can replicate the drink-mixing experience in the comfort of their hotel room, just like they would do at home. “What you drink your vodka out of can also give a whole lifestyle experience,” Jonas adds. Absolut Elyx has taken this a step further by re-branding to create a whole lifestyle collaboration with barware, wallpaper, home accessories, and more. Visit elyxboutique.com to learn more and join in the experience of Elyx. Luba means ‘love’, and that is what’s at the core of Hannah Payne’s ready-to-wear women’s clothing label based in her home state of Colorado. Luba offers high-end, quality-made garments made with fabrics sourced from Korea, France, and Italy. “We create unique things that no one else can,” Hannah states. Just like boutique hotels, smaller companies like Luba can offer things that larger companies cannot. Working with a smaller fashion brand like Luba allows boutique hotels to create unique pieces that can be only sold in their location. Luba knows the importance of staying true to who you are. Hannah’s business plan has never swayed from her focus on women’s silhouettes and honoring strong women like her grandmother, whom the company is named after. 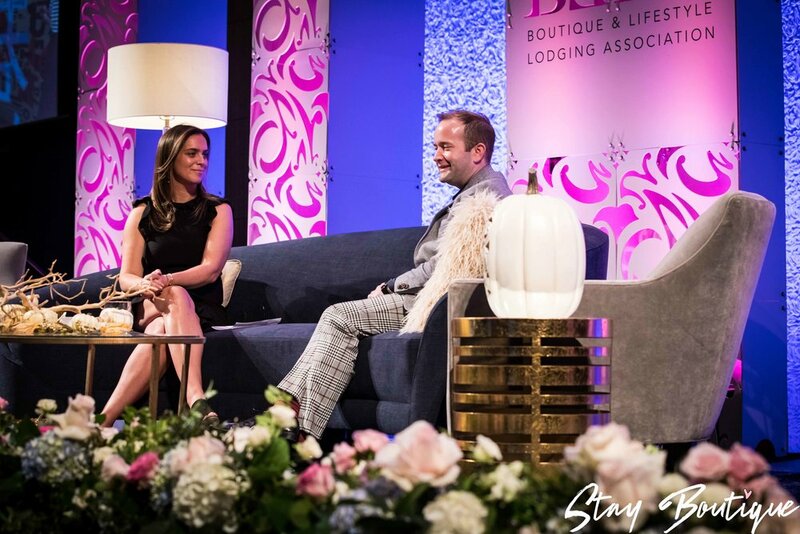 With a focus on giving back to community women’s shelters through their Love Foundation, Luba collaborates with boutique hotels to showcase their fashions at special events, with part of the profits being donated to local shelters. By offering women unique fashions that can’t be found in every large department stores, Luba has created their own version of living the boutique lifestyle. They’ve even expressed an interest in collaborating on hotel uniforms for the boutique industry. Check out www.shopluba.com to see just how special this fashion company full of creativity, purpose, and love is.